I’ll be the first to admit that I have always had a big case of closet envy. Not the usual kind where people covet the clothes in someone else’s closet (although that can be great too! ), but really just the LOOK of a well-ordered, beautifully presented closet. And since I’m more of a home décor junkie than a clothes horse, the images that Bunny Williams openly shares of her amazing, stupendous butler’s pantry have always been a fantasy of mine. So after my husband’s midlife crisis which involved commissioning many things to do with fire (a fire pit for the outdoors & a gas fireplace for his basement man cave), I decided to indulge my own fantasy of perfect Bunny Williams home closets. Enter Paul – the magician of carpentry – who took a sledgehammer to what were some really poorly laid out closets I’d used for cleaning supplies and miscellaneous stuff…..who transformed them in one weekend to be PERFECT for all my extra vases, tablecloths, candlesticks, etc. 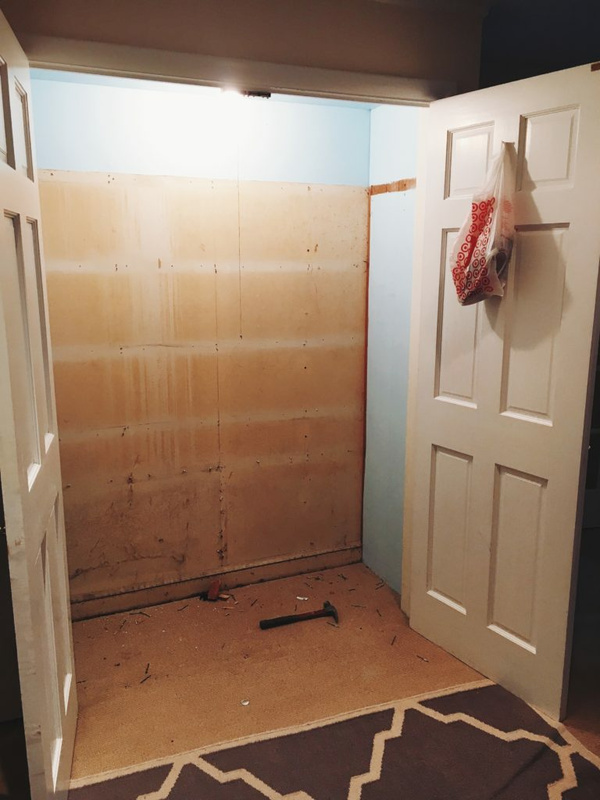 We split the closet in half to accommodate a hanging rod, and created shelves and cubbies for smaller pieces. The closet on the left now houses bigger items — large silver platters, pottery, extra trimmings for centerpieces and mantlescapes, etc. This was not expensive or time-consuming to complete but gives me great sense of calm to see so many of my favorite things all poised and ready for action. Thank you, Paul, for making this happen and thank you, Bunny, for the inspiration!